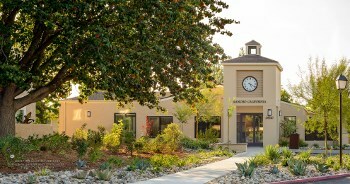 Rancho California is a 55-unit, Section 8/Tax Credit community located in Temecula, CA. The waiting list is currently closed. The property was acquired by Thomas Safran & Associates in March 2016 and extensive renovations were completed in 2017. All community areas were upgraded as part of the renovation. The fully remodeled community room features a kitchen with brand new appliances, a large-screen television, piano and pool table. Other upgrades include a new laundry facility and fitness room. Residents also enjoy renovated outdoor living spaces including a BBQ and lush landscaping. The community features 2, 3 and 4 bedroom townhouse-style units. The property has on-site maintenance and management personnel. Resident services include monthly parties, movie matinees, morning socials, exercise classes and more. Rancho California is centrally located in Temecula, close to restaurants, shopping and movie theaters.